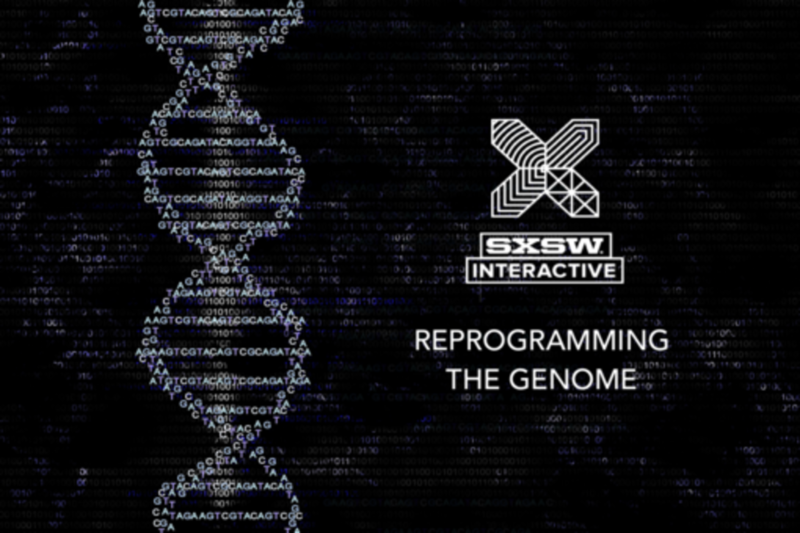 CRISPR gene editing is widely used by biologists as the DNA programming tool of choice - cells, organisms and populations can be altered with it. We’ve made faster progress than you'd imagine. CRISPR programs can now be written online and printed in labs with ease. Teams have attempted human embryo reprogramming in China, and “gene drives” – DNA programs that bias inheritance in populations – are almost ready to modify organisms in the wild. Will we see the eradication of Alzheimer’s and mosquitoes? Or ecological disaster and designer super-babies for the rich? Join the inventors and leaders of the CRISPR field as they demonstrate and discuss what is - and what should be - possible. Edward Perello is co-founder of Desktop Genetics Ltd, a London software company creating tools to engineer any gene, in any cell, in any species - without stepping into a lab. Edward has long-been interested in the science and policy of synthetic biology, and enjoys exploring questions of utopia vs dystopia in a synbio-enabled world. He is interested in biotech user experiences and advocates the development of responsible approaches to synthetic biology, seeking to foster deeper ties and understanding between the public, the biological sciences and professionals that will need to engage with biologists in the coming years, namely software developers and designers. An evolutionary sculptor of molecules and ecosystems, Dr. Kevin Esvelt first described how CRISPR gene drives could be used to alter the traits of wild populations. To ensure that gene drive applications are explored responsibly, he has invented and promoted laboratory safeguards and encouraged early transparency and informed public discussion of research with inherently shared impacts. An assistant professor and leader of the Sculpting Evolution research group at the MIT Media Lab, he seeks to set a positive example by developing candidate interventions for public health, sustainable agriculture, and conservation in a community-guided manner. Dr. Megan J. Palmer work seeks to develop, promote and advise on best practices and policies to responsibly advance biotechnology and other emerging technologies. She is currently a Senior Research Scholar and a William J. Perry Fellow at the Center for International Security and Cooperation (CISAC) at Stanford University. Previously, she was a Senior Scientist at U.C. Berkeley and served as Deputy Director of Policy and Practices for the multi-university Synthetic Biology Engineering Research Center (Synberc). She has created and lead many programs in the societal aspects of biotechnology, including the Synthetic Biology Leadership Excellence Accelerator Program (LEAP), and the Human Practices program at the international Genetically Engineered Machine (iGEM) competition. Dr. Palmer holds a Ph.D. in Biological Engineering from MIT, and was a postdoctoral scholar in the Bioengineering Department at Stanford University. Rachel is President and CEO of Caribou Biosciences, a gene editing platform technology company. In 2014, she was named by Forbes Magazine to the "30 Under 30" list in Science and Healthcare, and in 2016, she was named by the San Francisco Business Times to the "40 Under 40" list. She is also a co-founder of gene therapy company Intellia Therapeutics where she is a member of the board of directors. Rachel earned an A.B. in Biological Sciences from Harvard College, and received a Ph.D. in Molecular and Cell Biology from the University of California, Berkeley.